Theo Bleckmann at the Macalester Plymouth United Church, September 23: Mezmerizing, nearly impossible to describe in human terms. But I tried – see blog, September 26. Dave King Trucking Company at Studio Z, September 24. 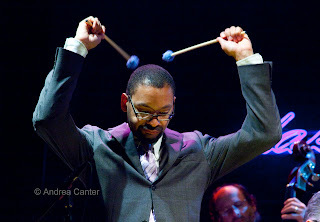 This was the first in the monthly Jazz at Studio Z series curated by Zacc Harris with support from an MRAC grant. Some of the usual suspects in the DKTC were missing—New York saxman Chris Speed and Happy Apple guitarist Erik Fratzke. Brandon Wozniak handled the horn duties alone, which just meant more soloing from the guy who is one of the area’s the most inventive musicians; Luke Polopnik took over on guitar, which meant a somewhat more mellow, Frisellish sound. With King and Adam Linz, the result was well up to DKTC standards as the band moved through some of the most appealing compositions of their recent release, Good Old Light, as well as some other concoctions. And when King crushed his snare, he was in the perfect setting to find back-up percussion supplies. This is the home to Zeitgeist! The Peterson Family’s "Our Love Is Here to Stay" at the Bloomington Center for the Arts, September 25. With matriarch Jeanne Arland Peterson celebrating 90 last month, there’s been a lot of Peterson Family gigs lately. But each time out, it’s a somewhat different configuration, and this matinee kicking off both the Bloomington and TCJS concert seasons focused on the songs and times of the Gershwins with extended Peterson Family talents from Jeanne to her offspring to nephew and grand nephew. This is not just a multi-talented family but a bunch of multi-talented individuals. And clearly, their love, and their music, is here to stay. 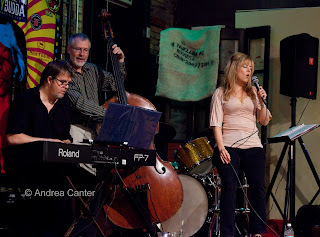 Emily Green with the Chris Lomheim Trio at The Nicollet, September 27. 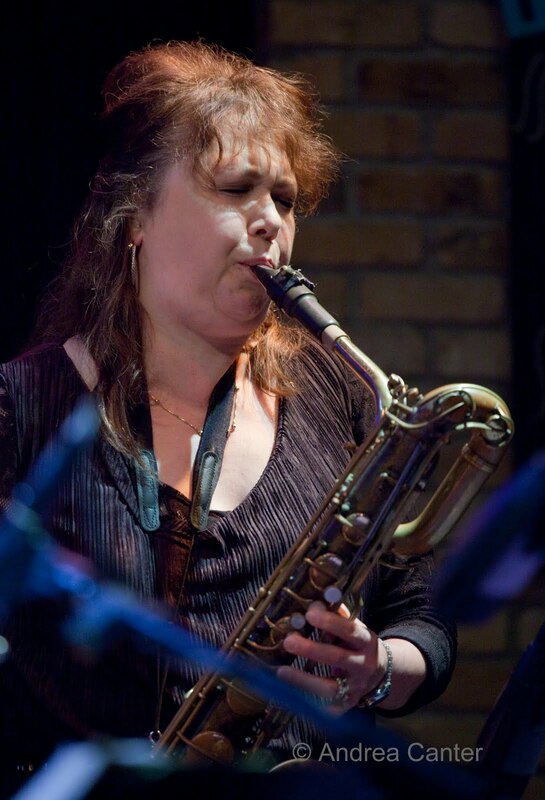 Maryann Sullivan of KBEM is curating this Tuesday night series at The Nicollet coffeehouse, and so far it has been an impressive and diverse array of musicians. One-time student of Vicky Mountain who has rarely performed at club venues, vocalist Emily Green joined husband/pianist extraordinaire Chris Lomheim and pals Jim Chenoweth and Reid Kennedy for some light and sassy takes on jazz and pop classics. Her voice is sunny and charming. Hopefully there will be more opportunities to enjoy it. Jane Monheit at the Dakota, September 28. Speaking of transformations: Five years ago, maybe only three, buttery perfect vocalist Jane Monheit seemed headed in a too-pop, too smooth direction, particularly on her recordings. Her live shows always hinted at a more personal sound but she was “packaged” for mass appeal. Then she became a first-time mom. She took control of her recording. In short, she became the jazz singer her early potential suggested she would become. Sometimes she scats, sometimes she doesn’t—whatever seems like the natural thing to do, it sounds effortless either way. Even without scatting –which is overrated as a marker of “jazz” singing, Jane seems comfortable sending her voice in whatever direction best fits the lyric and underlying emotion. While her set was mostly a round-up of favorites we’ve heard her do before, songs like “Over the Rainbow,” “Taking a Chance on Love,” and “That’s All” were rearranged and/or reinterpreted, making it a new set. And she is still buttery perfect.